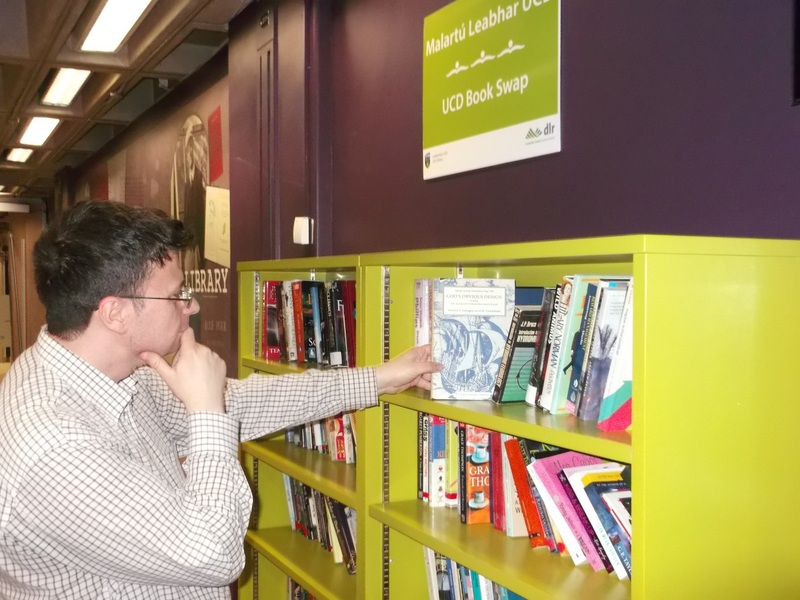 Guest post by Ann O'Sullivan, (BA HDipLIS ALAI) is the new Knowledge Services Manager in A&L Goodbody, having recently moved from the Houses of the Oireachtas Library and Research Service where she was the Acquisitions & Research Librarian. I attended this conference in Dublin on the 10 and 11 June 2016 in the Doubletree by Hilton Hotel (formerly the Burlington). The theme of the conference was the Value of Change. In attendance there were approximately 200 delegates, 43 speakers and representatives from 31 suppliers. It was a busy conference with people from Ireland, the UK, France, America and Canada. The BIALL Conference Committee put on an excellent show; they engaged the services of Sovereign Conference Exhibitions and Warrick Event Services to assist them in running of a very smooth conference. I was also very impressed with the conference facilities at the Doubletree by Hilton Hotel. The theme of change was evident in all of the talks and presentations. 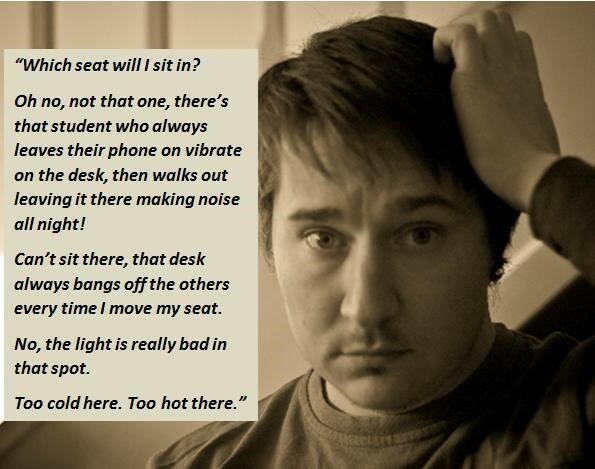 As librarians and information professionals we recognise that the environment in which we work is constantly changing. It is very important that our skills evolve with these changes in order to transform our services and ensure that we are providing world class services in all sectors – corporate, academic, government. There were plenary sessions on Cyber-crime, Knowledge Management and Data Protection and the parallel sessions covered many topics including: embedded services, different ways to use technology and digital literacy. There were also talks from the sponsors and exhibitors on new products, and a series of 10 minute lightning talks that covered everything from patron drive acquisition to deep breathing. Day 1 kicked off with the keynote address by Andy Harbison – Cyber-crime, how much of threat is it? Andy is a computer forensics investigator with Grant Thornton. Andy talked with great insight and depth of knowledge about the large scale cybercrimes that are committed against all kinds of organisations every day, including law firms. Zone-H.org is a website where you can find out who has been hacked most recently. Organisations and individuals can use all of the security measures imaginable to ensure their online safety, however Andy says that one of the most important things for everyone is awareness of your online presence. Training in online security and what to look out for is invaluable. Passwords MUST be complex and changed regularly, be suspicious when you are online, do not open suspicious emails, and be careful when you are browsing. Amanda McKenzie's talk was entitled What Does Knowledge Management Mean for Information Professionals? Amanda is the Head of Research and Information Services as Olswang LLP. She is actively involved in KM projects and is keenly interested in how the concepts of information management and knowledge management interact. Amanda started her presentation with a quote from Albert Einstein: Information is not knowledge; the only source of knowledge is experience. She then went on to speak about the differences between information management and knowledge management. While they are different this does not mean that the two are not connected or that they do not support each other. Amanda addressed the question of whether the interchangeable use of the word knowledge with information means that information management is diluted or does it mean that information has to adapt to the mechanisms that knowledge management brings to an organisation and does it bring opportunities? Law firms have recognised that for many years that Knowledge Management supports the clients. 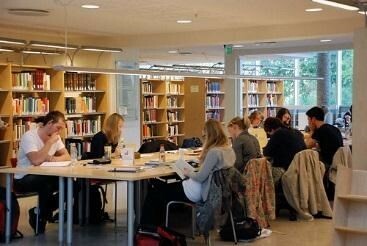 The Knowledge Management strategy must be in line with the firms overall strategies. Amanda recommends having a Knowledge Management Steering Committee in-house to drive the Knowledge Management agenda and to ensure buy in from senior management. Collaboration is the key to creating a knowledge sharing environment. In order to value change we should suggest change, embrace change and challenge change. Claire Greening from Withers LLP and Karen Brown from Dentons had an idea; they brought it to the BIALL Council and now we have two new tools for benchmarking legal library services: the annual BIALL Commercial Law Firms Survey and the BIALL Professionals Skills Framework. During their presentation Claire and Karen took us through their journey with the two working groups responsible for the creation of the new tools. BIALL already have an academic library survey and the salary survey, these still exist along with the new tools. 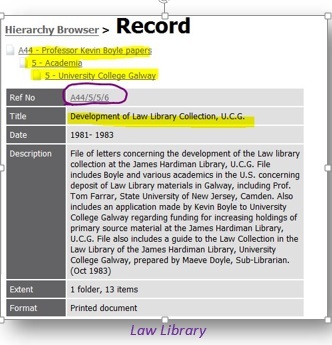 The Commercial Law Firms survey will be sent out to 145 firms in October 2016 (15 in Ireland), with the results due in Spring 2017, for the first time we will be able to benchmark items such as the library budget as a percentage of turnover, the number of library/information/knowledge staff related to the number of fee earners. Once the first survey has been completed the plan is then to issue this survey annually in January. The Professional Skills Framework is now available on the BIALL website. 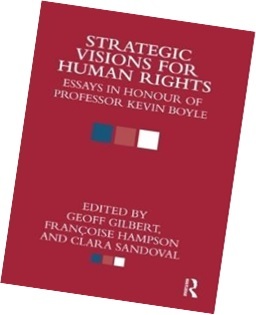 The idea behind the framework is to provide a detailed overview of the skills and experience which legal information professionals need to carry out their role. 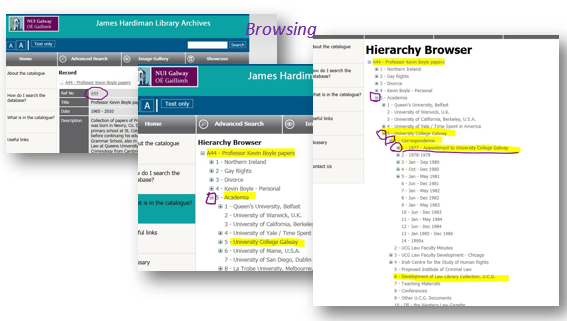 It is designed to supplement, rather than replace, other relevant frameworks of skills, competencies and ethics, such as the CILIP Professional Knowledge and Skills Base (PKSB’) (also now available to LAI (Library Association of Ireland) members) and in-house documents. It is designed as a skills framework, rather than a competencies framework. The intention is that that the skills framework will be able to assist legal information professionals at all stages of their careers, with the principal uses being: as a benchmarking tool for personal professional development; to assist managers with appraisals and to assist managers with recruitment. Denis Kelleher also spoke in plenary on the topic of Data Protection. His talk was entitled Europe & Data Protection: A Law onto Itself? Denis is the author of Privacy and Data Protection Law in Ireland; he is a Barrister-at-Law and is currently employed as Senior Legal Counsel in the Legal Division of the Central Bank of Ireland. Denis looked at the application of EU data protection laws to the global internet and social networks. Denis is an expert on this subject and took us on a whistle stop tour of the history of data protection in Ireland, Germany and Spain. 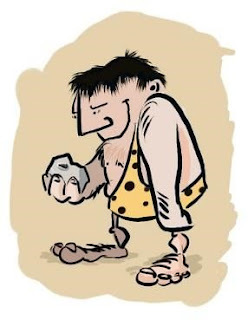 He then looked to the future and explained what the new EU General Data Protection Regulation (GDPR) will mean for us in the coming months and years. One of the new requirements will be Data Protections Officers in every organisation. Embedded legal information professionals: challenges and opportunities"
Peter is the first Knowledge and Information Officer to be embedded in Slaughter and May’s Pensions and Employment practice group. Cosmo has been part of the Knowledge & Information Officer team at Slaughter and May for over four years and currently supports the firm's IP/IT practice group. Embedded librarianship has been on the rise in the legal sector since the early 2000s. Peter and Cosmo discussed the ideas behind embedding legal information professionals in their user communities and their experience of establishing embedded services at Slaughter and May. 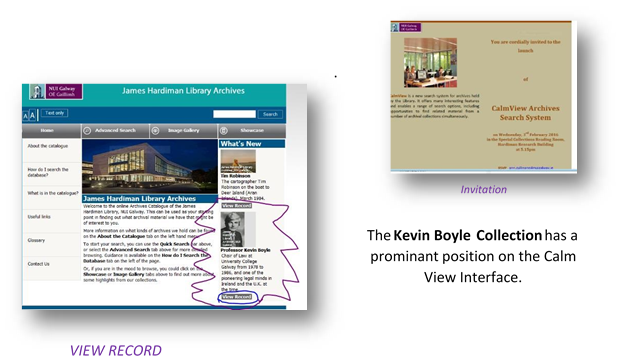 Embedded librarianship is an approach, a particular way of working; it does not necessarily mean that you are physically located in the same area as your users. Peter and Cosmo suggest that the characteristics of embedded librarians are: relationship driven, enterprising, have specialist skills and knowledge; actively engage in networking and are flexible. The embedded approach is knowledge oriented. Pinsent Masons has a team of research analysts providing the firm with in-depth sector and market analysis. This innovative approach has benefits for Pinsent Masons and also for the research team - increased visibility within the firm and developing a role as a trusted adviser to the business. 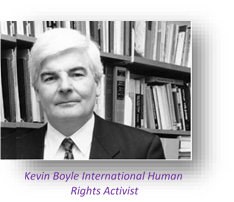 The team are drawn from a variety of backgrounds, including experienced law librarians. During their presentation, Kelly and Helen who are both law librarians, discussed Pinsents approach to business and sector insight. They told us how the team adds value to the firm and how they have developed their existing skillsets to meet this new challenge. Their case study discussed the challenges in expanding our output from traditional legal research to more business and commercially aware research. The key new skill that they have both acquired is commercial awareness and the ability to carry our research on companies and form a view on the current status of the company and where is it is going. Celine Kelly is the Knowledge Systems Manager within the Knowledge team in A&L Goodbody solicitors. The UCD Student Knowledge Centre developed out of Celine's professional experience in legal information and knowledge management and her post-graduate study in IT. This mix of experience and study made it possible for her to project management the venture from start to finish and execute much of the build on the extranet. A&L Goodbody have built on a tradition of adding value through knowledge by leveraging SharePoint technology to reinforce relationships between the firm and students the UCD School of Law. The Student Knowledge Centre uses SharePoint to bring together legal know-how and expert insight from A&L Goodbody lawyers to offer students support in their studies, further their commercial awareness and to provide a flavour of how law firms work and what it feels like to be a legal professional in Ireland today. Celine shared her lessons learned during this project from the planning, development, implementation and testing stages of using SharePoint as a web content management system and extranet. Marianne and Tim discussed the benefits of getting involved with your professional association in this case BIALL. Joining a committee, organising events etc. is very beneficial at all stages of your career. (I concur as my involvement with the LAI has been very enjoyable and beneficial!). Seána presented a case study of the development and implementation of the A&O Belfast office Learning & Development collection which provides resources to support staff. The collection provides a continuation of the learning that is offered through internal courses, seminars and online resources. It also supplements other initiatives such as Be Well week, encouraging staff to maintain and improve emotional wellbeing. She discussed the practicalities of developing the collection, promoting it within the office and embedding the concept within senior management and key departments such as HR. In 2015 the Royal Holloway University introduced a new school of Law. Sian discussed the challenges of creating a new Law collection from scratch in an academic setting. The Law Library at the University Of Florida College Of Law has created the faculty blog. They are instrumental in facilitating a social interactive academic research service that promotes the intellectual content of the institution. Jane instructed us how breathing techniques can help cope with anxiety. Anxiety can often arise from periods of change. Learning to breathe from the abdomen i.e. deep breathing, not shallow, is a valuable first step in combating anxiety and building resilience in the face of constant change. Jane demonstrated the technique and we followed, the photos are available on Twitter! How many times are you paying for the same case? Many cases are reported in multiple different report series – authoritative and specialist. And to have “better coverage”, customers are encouraged to buy as many different titles as they can afford. Masoud presented the statistics produced by Justis using their JustCite tool on how some cases are reported in many different case reports and are then available on many different online platforms. Mark and James demonstrated how their solutions as Informa Law can make subscriptions more proactive instead of just reactive. They were promoting i-law.com to ensure that users are able to get to the information they need e.g. journal email alerts etc. If only I had known that... Career insights from senior managers"
This session was chaired by Michael Maher from The Law Society of England and Wales, the other speakers were: Dunstan Speight, Berwin Leighton Paisner LLP; Susan Scorey, University of Roehampton; Darron Chapman, CB Resourcing; and Samantha McCombe, Linen Hall Library. The first question posed by Michael was about what skills we think are most important to our roles as law librarians: knowledge of the law, knowledge of IT or customer service. We first considered it from the point of an interviewee and then as interviewer. Customer service skills won hands down, as we all agreed that IT and Law can be thought but some people just have innate customer service skills and while someone who struggles with this skill can shadow and observe colleagues it is a huge advantage if you have a natural leaning towards excellent customer service. Other Items discussed and questions posed included: CV tips – what to include or leave out; do not forget to proofread, one of the speakers was once sent a CV without the candidates name! ; when is the right time to move (don't be scared of moving was the advice from all of the speakers – don't be too mechanical in planning your career, allow for serendipity to intervene); get involved in your professional association (join a committee, if not BIALL then maybe the LAI, CILLIP, SLA etc.). The LexisLibrary Awards were presented at the conference dinner in the Mansion House on Friday night and all 3 awards went to libraries on the island of Ireland. 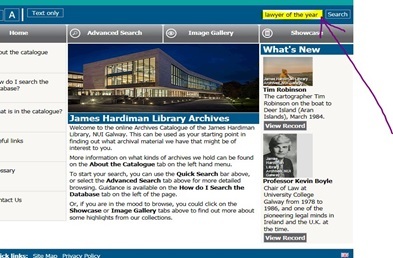 The award for Best Information Service 2016 went to The Bar Library in Belfast; Library Service of the Law Society of Ireland was the runner-up and Legal Aid Board’s Research and Information Unit was Highly Commended in the same category. At the conference dinner there was a collection for the Capuchin Day Centre who provide a range of services to the homeless in Dublin City Centre. GBP£945.00 was raised. 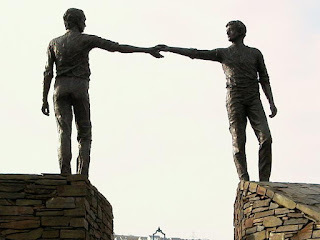 Sometimes I forget the distance and difference there is between Ireland and the USA after living in here for just over a quarter of a century. So I was keenly interested this time last summer when the call for papers for this conference went out. I was taken by the strapline of sharing information, ideas and connecting people and immediately thought this was solely a library information focussed conference. 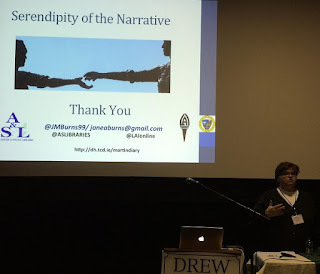 In fact it turned out to have a much a broader scope, with a range of presentations, participants and formats but all with a similar purpose to connect people to ideas and to enable them to share them in a meaningful way in order to make a range of connections. 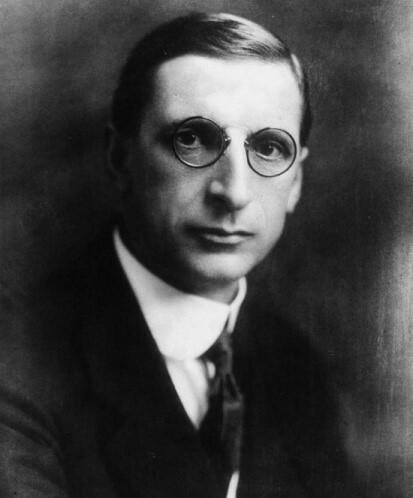 I submitted a paper based on a research project I had undertaken with 4 other researchers whilst completing my Master’s Degree in Digital Humanities at Trinity College Dublin, entitled The Mary Martin Diary – A Mother’s Story of 1916 under the stream of Multimedia Narratives: Collaborative Research with Historical Material. The Academic & Special Libraries Section had a call out for bursary funding and I decided to apply. This generous assistance not only allowed me to attend the conference but also provided funding for two of my MLIS students from the School of Information & Communication Studies, UCD, Hanna Bush and Dermot O’Leary to attend as well. Their reflections on attending this conference will be published in Libfocus tomorrow. The conference was great. The range of speakers and conference participants was impressive. What I enjoyed the most was to see how others inside and outside of traditional library environments were creating and sharing content and research approaches and outputs. I always think it is a good idea to see how others are processing, perceiving and personalising information – it certainly helps me refocus my understanding and perspectives as a LIS professional and as a Researcher. The sponsors and organisers of this Transatlantic Conference was Drew University, which is a private third level institution located in Madison, New Jersey, USA. This was the second year this unique conference was organised through the Caspersen School of Graduate Studies at Drew University, in partnership with the Institute of Study Abroad Ireland, based in Bundoran, County Donegal. 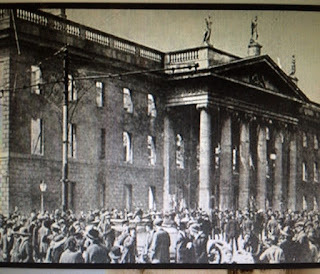 The Conference gathers together academics, experts and local guests to discuss the connections between Ireland, the US and the world, in an interdisciplinary context. 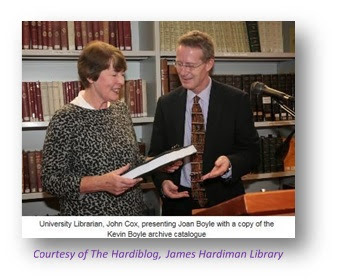 This was not a library themed conference, but there were many librarians and information professionals such as archivists from all Ireland, the UK and the USA in attendance. The Programme can be found here. 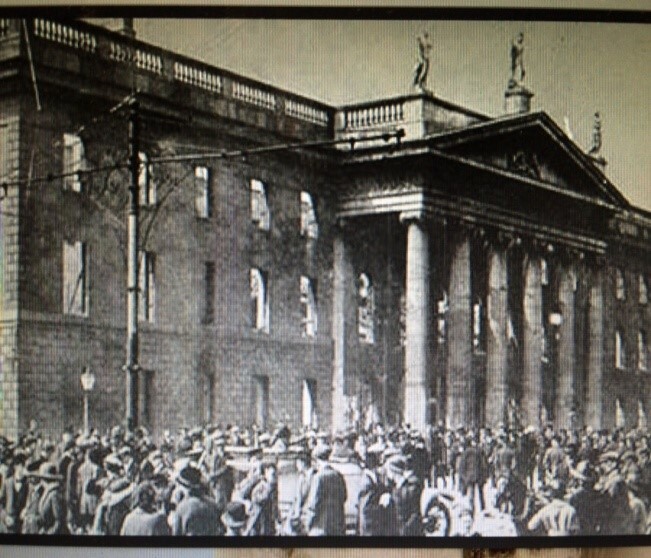 The focus on cultural history and in particular music, the Irish language and education were very impressive. There was a real emphasis on the relationships between Northern & Southern Ireland and the joint research and cultural understanding that has taken place, especially since the Peace process. The discussion panel about Hedge Schools and the Diaspora was very informative, particularly the perspectives by Liam Kennedy, who is the Director of the Clinton Institute at University College Dublin, and roles and opportunities for the diaspora not just in the USA but globally. For those of us involved in managing, developing and promoting archival material, the topic of the Ethics of Archiving and Commemoration: The Fluctuating Status of the Stolen Irish in the New World given by Michael McKenna from Queens University Belfast was thought provoking and insightful. A different approach to the exploration and understanding to experiential learning from a surfing perspective was fascinating. 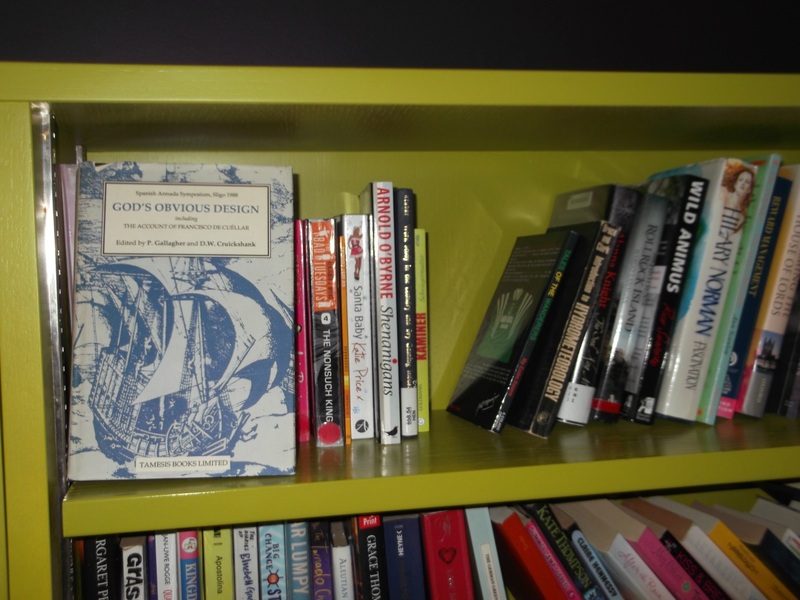 Ethnographic research is a very topical subject in the understanding of how information users experience library spaces. There were many insightful approaches to the sport and philosophy of surfing that could be transferable to understanding how people behave, interact and engage with their environments. Cathal Cavanagh’s presentation (Cathal is a PhD student from the University of Ulster) on his multimedia project Grace Gifford: The Woman behind the Song was the highlight of the conference for me. 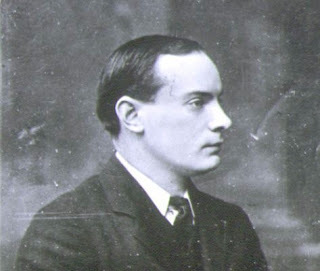 Not only did he beautifully capture the love story of Grace Gifford, an Irish artist active in the Republican movement, who married her fiancé Joseph Plunkett in Kilmainham Gaol only a few hours before he was executed for his part in the 1916 Easter Rising, but Cathal demonstrated the use of and linking of primary source information into an online platform that could reach a range of users, from ordinary people, to researchers and historians. Library & Information Professionals are involved a range of subject areas, delivery methods and a variety of research initiatives. While it is so important for us to attend exclusive library centric conferences it is important for us to realise that our research and our interests can also be promoted at broader conferences with a wider audience. It allows for those outside of our primary circles to understand the range of work we are involved in and it also provides for us different perspectives and approaches to user research and interest. If we only talk amongst ourselves we are limiting the space we occupy and narrowing the lens by which others see us and our amazing skill sets. Many thanks to the A&SL, a truly progressive committee, for their support for me and my students to attend this event. CONUL ANLTC Library Assistant Award 2016: Transformational Collaboration: A reflection on the process of creating an academic poster. Transformational Collaboration: A reflection on the process of creating an academic poster. 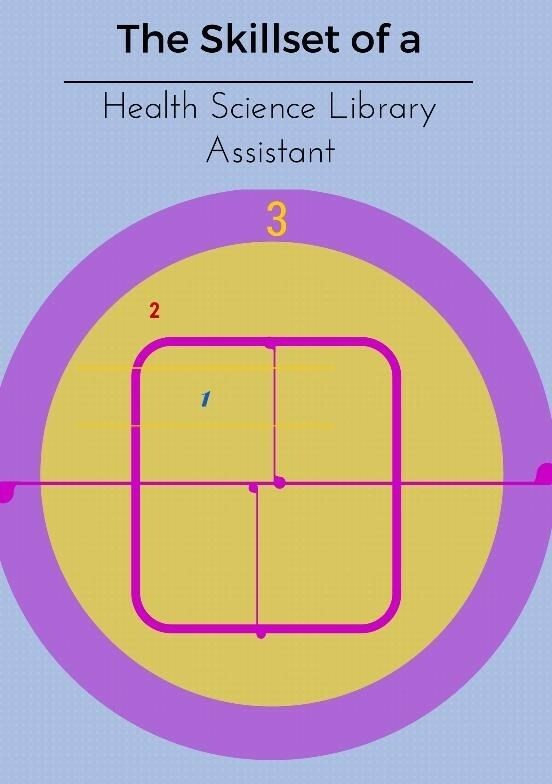 I recently had a poster accepted to the annual Health Science Library Group Conference being held in May. In this blog post I will detail the creative process, the feedback I received from other information professionals, and how said feedback transformed the project. The theme of the conference is the Skillset of a Health Science Librarian, so I decided I should focus on my own experience and narrowed the theme of the poster down to the Skillset of a Health Science Library Assistant. After a couple of days of thinking about the poster, I had a pretty clear idea how I wanted it to look and the message that I wanted to convey. Above all I wanted it to be a colourful, eye-catching poster that was not heavy on text. 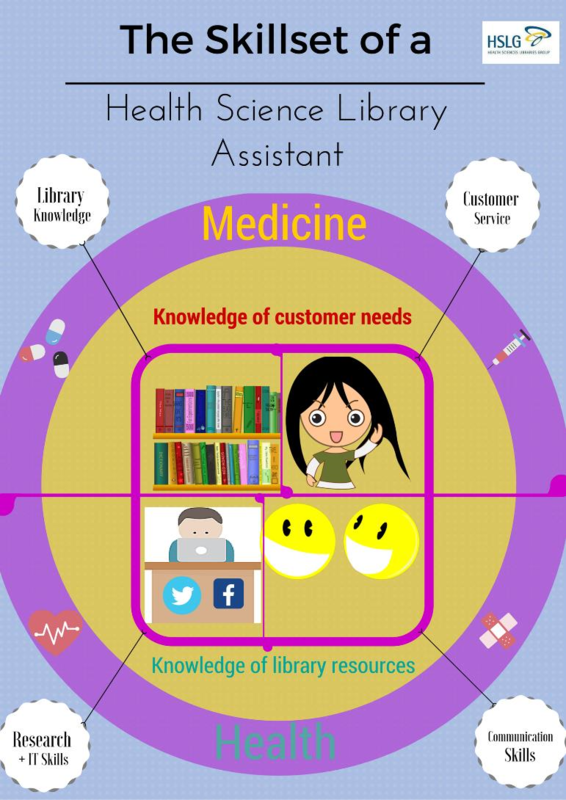 However, I also wanted to highlight the diverse skillset of a library assistant in a health science library. 2. Skills that develop with familiarity in your new environment. 3. Skills that develop over time. With a theme and an idea for the look and feel of the poster in mind, I decided I should find a way to create the poster. With a quick Google search using the eloquent search term- 'Create poster free', I found a fantastic tool called Canva, started to play with it and was well on my way. I used Pixabay to source some images free from the chains of copyright, but as I was scrolling through tons of stock images that looked dated and uninteresting, an article that I had read way back in October meandered from my subconscious and deposited an idea that my poster benefited greatly from. 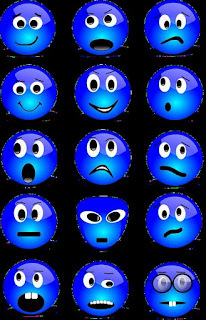 I was encouraged to use emoji`s (or at least pictures that resembled emojis which I sourced from Pixabay) from a BBC article that pondered whether emoji`s would evolve into a new language "which could compete with English in global usage" based on their popularity in modern society (Cohn, 2015). By using emoji`s, I hoped that the poster would be visual, and could be understood on a basic level by somebody without fluency in English. When I was pleased with my poster, I sought feedback from a couple of my information-professional colleagues. 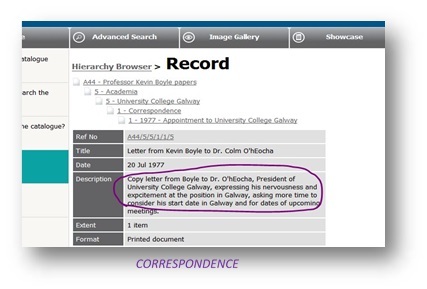 I sent the file to a former lecturer from UCD and we met for coffee the next day. I was quite disappointed to hear that she found it to be eye-catching, but she originally wasn't a huge fan of the bright cartoon emoji`s I had used. I explained my reasons for using them and she advised me to stick to my guns. I then sent the file to another colleague from a health science library, and was encouraged to add more text to the poster to make it more academic in style and tone. 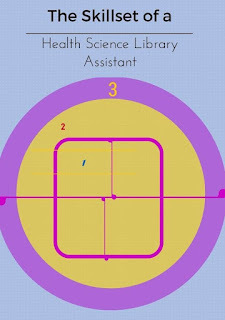 Even though I was quite opposed to the idea, I took her advice and made a second draft which contained text boxes expanding on the duties of library assistants using information I had researched from job adverts for library assistants. The inclusion of the text boxes did not take from the visual aspects and added a great deal more information to the poster. The following image is an incomplete draft of the poster. Draft near completion, see finished product at HSLG Conference May 12-13. In Beyond the Silos of the LAM's, Zorich et al state that collaboration is a transformational process (2008). I cannot recommend seeking feedback enough on any project you work on. With each person who offered recommendations or thoughts on the project, from my initial interactions with immediate co-workers to other contacts, the poster was altered slightly. I reflected on both positive and negative comments received, and the final poster was an improved, more considered version of my original vision due to the recommendations of others. CONUL ANLTC Library Assistant Award 2016: Summer Time…Something Different! The experience in DEC was a great way to see and experience the work done in another department. My first experience in DEC in 2014, involved working on a “Theses Digitisation” summer project. We drew up a list of nearly 300 of the most highly borrowed theses, I checked the list for the year and qualifications then I retrieved the theses from the shelves. These were then boxed and sent away to be digitised. Each thesis was copied and saved in PDF format which was sent back via Dropbox. Each thesis was then uploaded to eTheses - full-text electronic copies of theses produced by research postgraduates from the University. 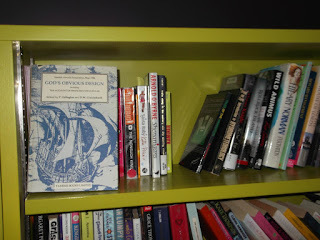 The bibliographic records were adjusted accordingly and all theses reshelved. I really enjoyed working on this project. It was something I could work at on my own and I could see how every stage of the project was progressing. I found it a very worthwhile project as it gives our patrons immediate access to a selection of our theses and it gave me experience of working on our ePrints repository. It also gave me a much greater knowledge for the coming academic years when students or academic staff have queries about electronic theses. 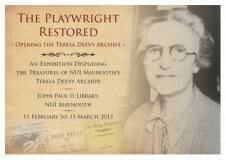 In 2015 I had the opportunity to work on the Teresa Deevy Archive. Teresa Deevy was born in 1894, and was a deaf Irish dramatist, short story writer and also a writer for radio. 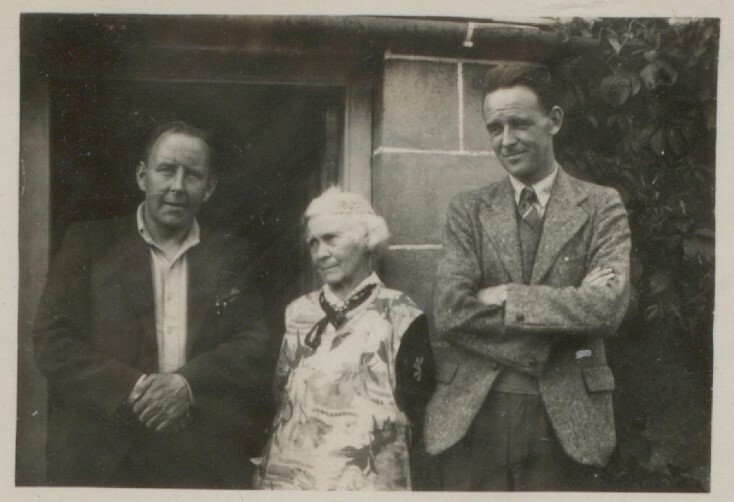 Many of her papers have been digitised including scripts, published versions of Deevy writings, theatre programmes and other memorabilia from theatrical productions, details of broadcast productions, correspondence and newspapers clippings. This project involved editing some of the collections, including copyright newspaper articles, performances and broadcasts. 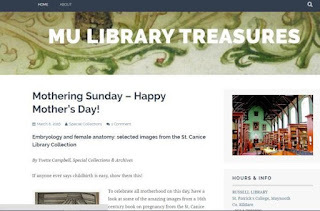 I did this using one of our library based repositories, Omeka, which is a free, open source content management system for online digital collections. 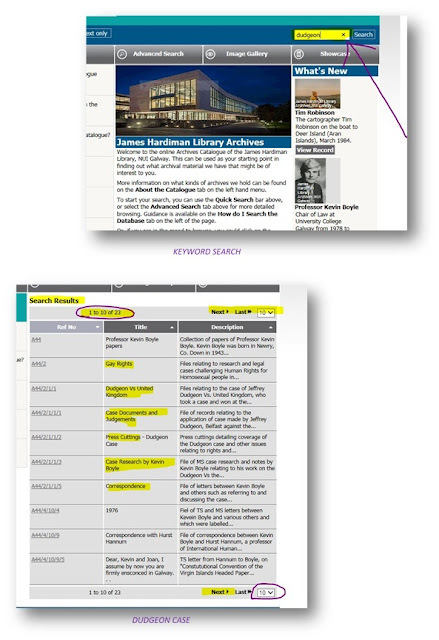 I had never used Omeka before so this was an excellent learning experience for me. I also catalogued a collection of letters including the transcription of these letters. Interestingly, this gave me a small insight into the type of person Teresa Deevy was. 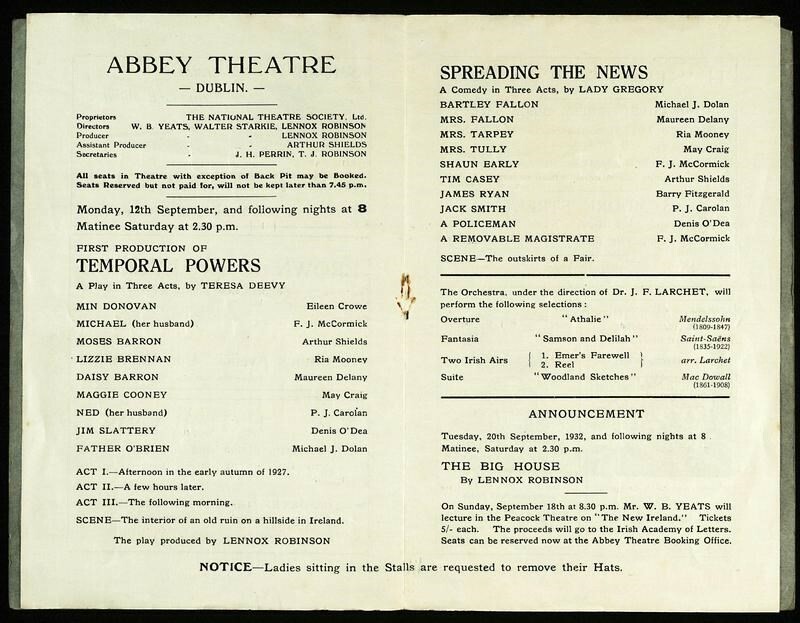 My work on the archive continued and I developed a spreadsheet with a list of actors and contributors and added links to Deevy archive, the Abbey Theatre archive and Wikipedia. 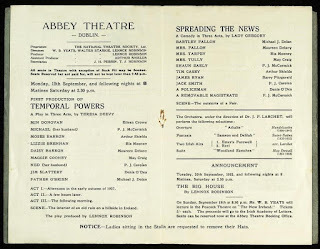 I used links to Irish playography, a comprehensive database of new Irish plays produced professionally since 1904, while searching for actors of the Abbey Theatre. I really enjoyed this particularly as I would have gone to a lot of theatre in the Abbey and I recognised a lot of the actors and this in turn evoked some really wonderful memories. I also worked on the Irish Newspaper Archive.This archive was very interesting as it was great to look back at the old newspapers at times. 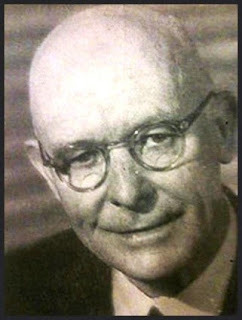 I found myself reading some of the old advertisements, that reminded me of times gone by! Working on both of these projects enabled me to learn a lot about our collections and how we set up the archives and catalogue all the items. Both summers involved very varied work and I always grab the opportunity to work with colleagues in other departments, but as always I love to return to working in LIS on desk services as a new term commences. For the first article which started off with a low number of downloads, but with the most impressing increase, 900%, there was another 2 dowloads during the second week. A small number but still a 50% increase from the original number of downloads for the first 8 weeks. For the second article, which had a bigger number of downloads already after the first 8 weeks, there was a more "modest" increase in downloads during the first week of sharing, 258%, there hasn't been any new downloads at all the second week. My reflection is that the effect of sharing research on social media is quite limited in time. Already after a week it has "disappeared" in the flow of information if no actions is taken. My recommendation is that if you as a researcher, or as a librarian, share OA articles on social media you can expect a real effect in number of downloads, but it will be short-term. 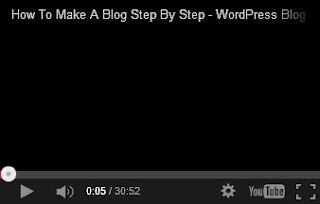 Therfore there is an opportunity to duplicate or rephrase your post after a month or so. But do not overdo with the risk of beeing repetitive! The Open Access (OA) movement (where research papers are free to access online and free of most copyright restrictions) has been around for some time. However it gathered momentum in the UK following the publication of the Finch Report (1) in 2012 and acceptance of its recommendations by the Government. The recommendations of the Finch Report set out an ‘encouraging and challenging road map to improve open access to scholarly literature’(2). Academic funding bodies including RCUK, COAF and the Wellcome Trust embraced OA and made it a requirement for funding. However of major importance was the decision by HEFCE (Higher Education Funding Council for England – which covers all of the UK) to issue an OA policy (3). 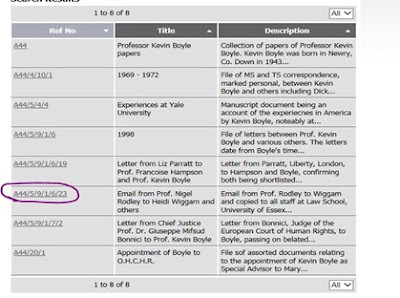 This mandated that from the 1st April 2016 researchers must deposit their journal articles and conference papers (with an ISSN) in a subject or institutional repository within 3 months of publication and make OA within embargo limits, Figure 1. Researchers need to be compliant if their work is to be considered for the next REF (Research Excellence Framework). This is a major assessment exercise where research output from each UK University is judged and funds allocated accordingly. These developments are having a huge impact on UK Universities and their funding. It is a challenging environment for OA teams as while researchers need to engage with OA to ensure future funding, many are far from convinced. Here at Queen’s University, Belfast the big challenge remains researcher engagement. Why is it so difficult convincing researchers to make their work OA? 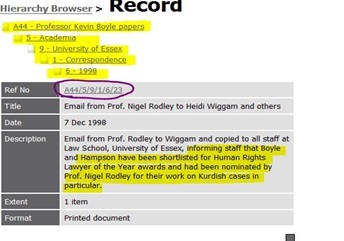 As those interviewed for a Blog in The Guardian in 2014 (4) outlined, many academics still remain confused. In Stephen Curry’s words they are ‘confused about what it is they’re supposed to do and how they’re supposed to go about it’. They pointed out that the biggest battle is about changing the academic culture and making OA mainstream, especially within the arts and humanities. This is still the case today. For many academics OA is about bureaucracy and regulatory compliance. What can we do about it? The key is developing and sustaining an active support and advocacy strategy. 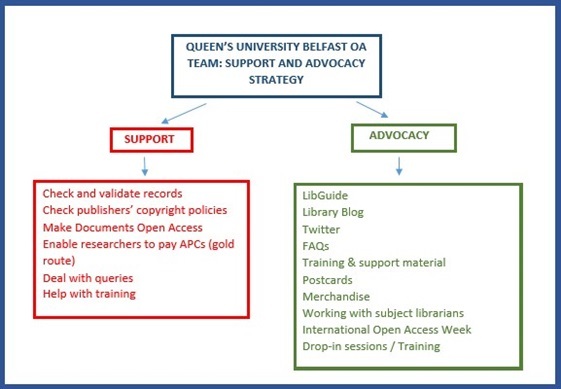 Here at Queen’s the OA team have used the Jisc OA Pathfinder projects (5), especially the advocacy project, and the marketing guidelines in the UNESCO OA Curriculum (6) to develop a range of tools to communicate the OA message, Figure 2. 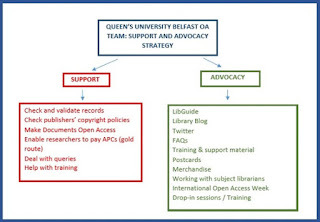 Our strategy includes: OA training sessions run inhouse and in departments; promoting the institutional repository and OA process through our LibGuide (7), FAQs, Blogs and Twitter (8) account; creation of a range of support and promotional materials such as postcards, merchandise (bags, sweets, pens, post-its); and making contact with new research staff. We also run events during International OA week. Through our support services the OA Team manages the institutional repository ensuring all documents are copyright compliant and the correct licenses and embargoes are applied. We also enable researchers to pay Article Processing Charges (gold route) and answer queries about anything OA. As a result of these activities, since August 2014 over 1200 researchers have attended advocacy sessions and the rate of full-text document upload to the repository has increased significantly. This reflects positively on the team’s approach to develop an OA culture within the University. However there is still much work to be done and we plan to expand our training programme, build relationships with individual departments, create online videos and run training webinars. If UK universities want to continue to be internationally renowned then it is essential that they embrace OA. Being part of the OA movement is challenging but our work to ensure researchers engage in the OA process is essential to its success. We can have a pivotal and exciting role to play and it is only just beginning. 3 HEFCE (2015) Policy for open access in the post-2014 Research Excellence Framework: Updated July 2015.